How much does James Bond earn? 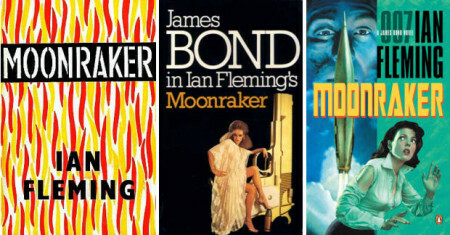 Home > Books > Moonraker > How much does James Bond earn? He earned £1500 a year, the salary of a Principal Officer in the Civil Service, and he had a thousand a year free of tax of his own. What we learn from that is that 007 has a total pre-tax income of £2,500. Although not stated, the thousand a year are presumably his inheritance in the form of a trust fund. When he was on a job he could spend as much as he liked, so for the other months of the year he could live very well on his £2000 a year net. So he also relies heavily on his expenses. He regularly plays cards, so presumably tops up his income with that. Although £2,500 doesn’t sound like very much, remember that Moonraker was published in 1955. Adjusted for inflation to that is the equivalent of £63,000 in 2017. £37,800 is his civil service salary and £25,200 his private income. In US dollar terms 007 was earning the equivalent of $7,000 before taxes in 1955. Today £63,000 currently converts to around $81,000. Like this article? Join our free 007 newsletter and get the latest on Bond 25 and other James Bond news by email. What vodka does James Bond drink? This web site is in no way associated with Ian Fleming Publications, EON Productions, Danjaq LLC, Sony, MGM or United Artists. Original content copyright 2001-2019. Extracts from novels copyright Ian Fleming Publications. Photographic and video content from Quantum of Solace and Skyfall courtesy Sony Pictures and used with permission.